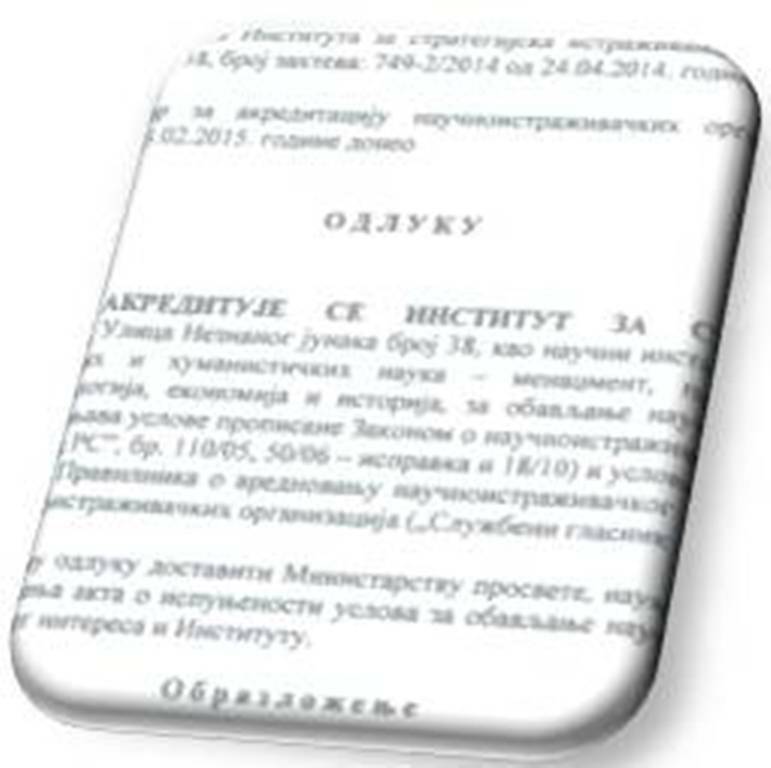 SRI jurisdiction and scope of work are defined in documents that can be downloaded on this page. The decision on accreditation is a document that confirms that SRI meets the highest standards and is recognized as such in the general academic community. Statute of SRI represents a document which forms the legal framework of the institution. SRI was founded by this document.